Studio Ghibli fans who don’t have an Amazon Prime account may want to get on that. 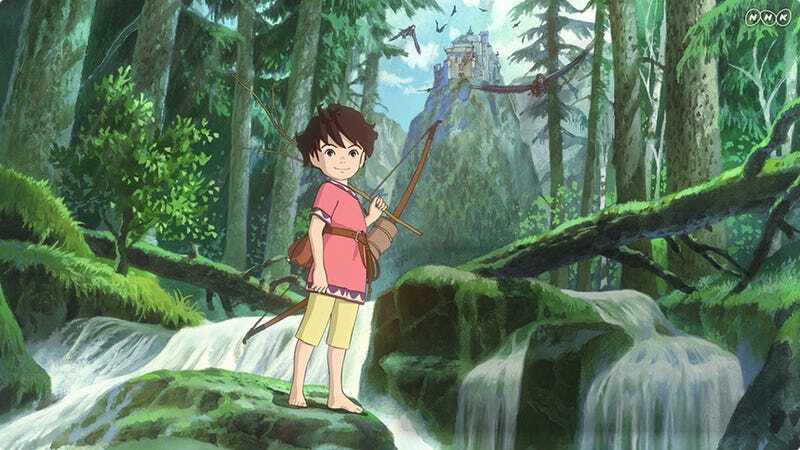 Later this month, the studio’s animated show Ronja, the Robber’s Daughter comes to the streaming service. Based on the Astrid Lindgren book of the same name, Ronja is directed by Hayao Miyazaki’s son, Goro Miyazaki. It’s the story of a thief’s young daughter who befriends a rival’s son, linking the two opposing ideologies. The show debuted in Japan in 2014 to great acclaim but is finally making its way to the U.S on January 27 via the streaming service. Here’s the new trailer. It’s almost unfathomable that a show, co-produced by Studio Ghibli, could be so close to our eyeballs. But it is. Twenty-six episodes are less than a month away. Plus, that trailer looks pretty damn wonderful, wouldn’t you agree? Oh, and it’s narrated by Gillian Anderson. Correction: This article originally said “Netflix” in the headline, which is incorrect. It’s been changed.